It is estimated that tens of thousands of individuals in the U.S. wake up prematurely from the effects of general anesthesia each year. Conscious sedation is often preferred over general anesthesia for minor procedures, because it eliminates many of the health risks of being fully anesthetized. 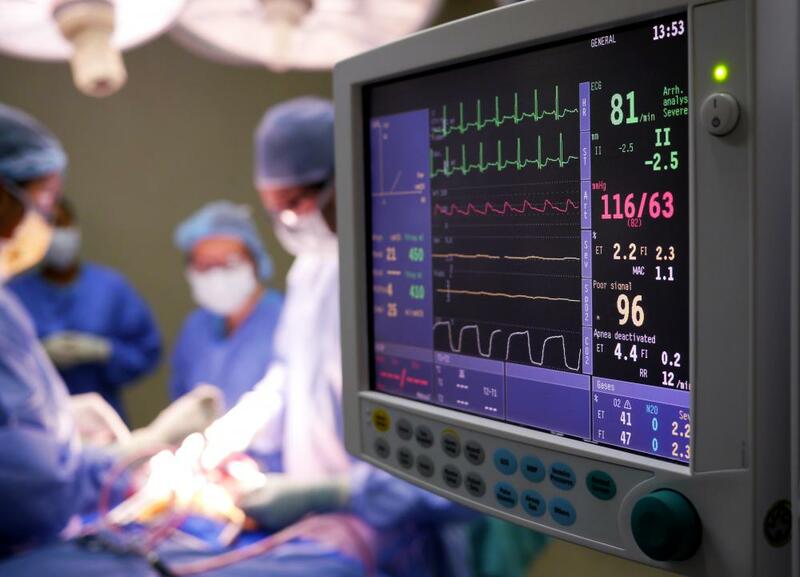 Patients who receive general anesthesia during an operation are carefully monitored. A patient being given general anaesthesia by gas. 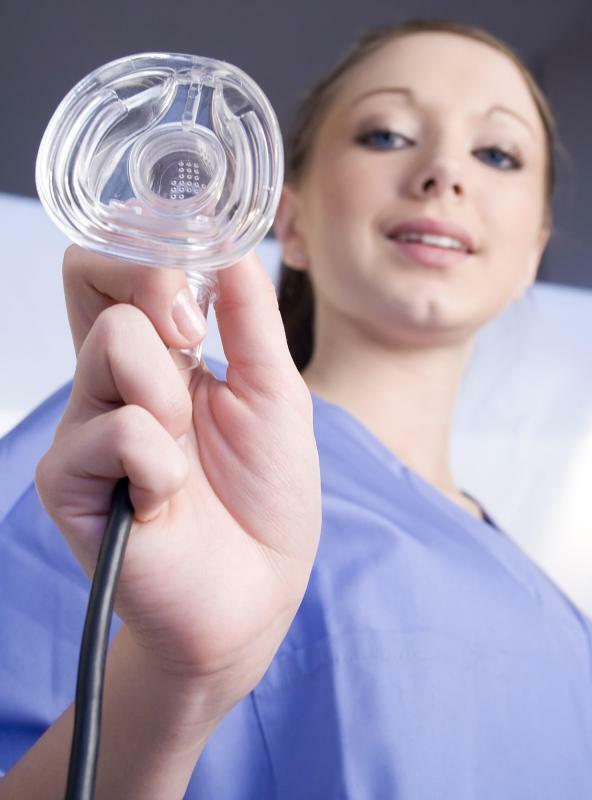 Nitrous oxide -- often called laughing gas -- has been used during surgeries since the 1800s. 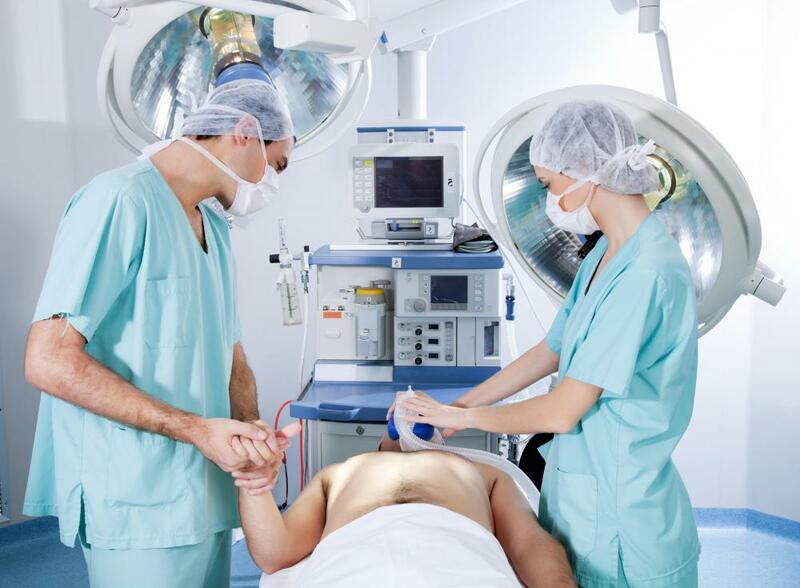 General anesthesia is often recommended for lengthly surgeries. 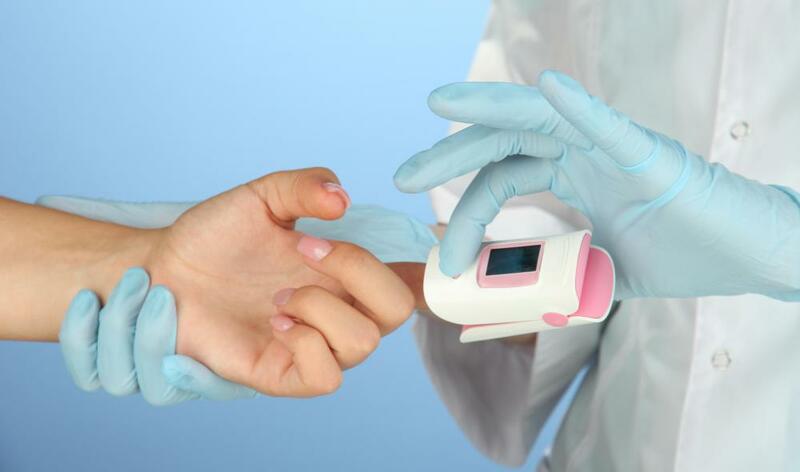 A finger oximeter uses red and infrared light to measure the percentage of oxygenated hemoglobin during surgery. 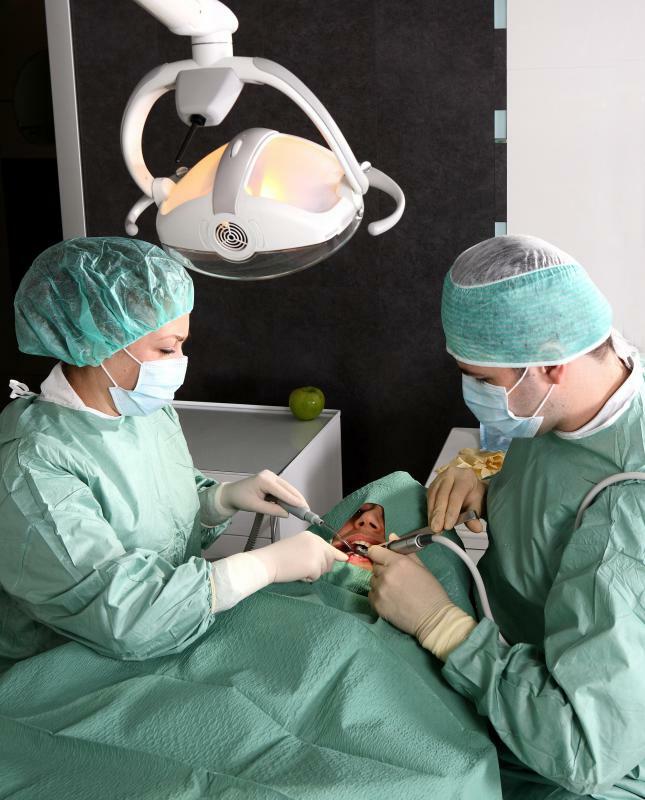 Oral surgery may require a wide spectrum of sedation, from calming gases to general anesthesia. 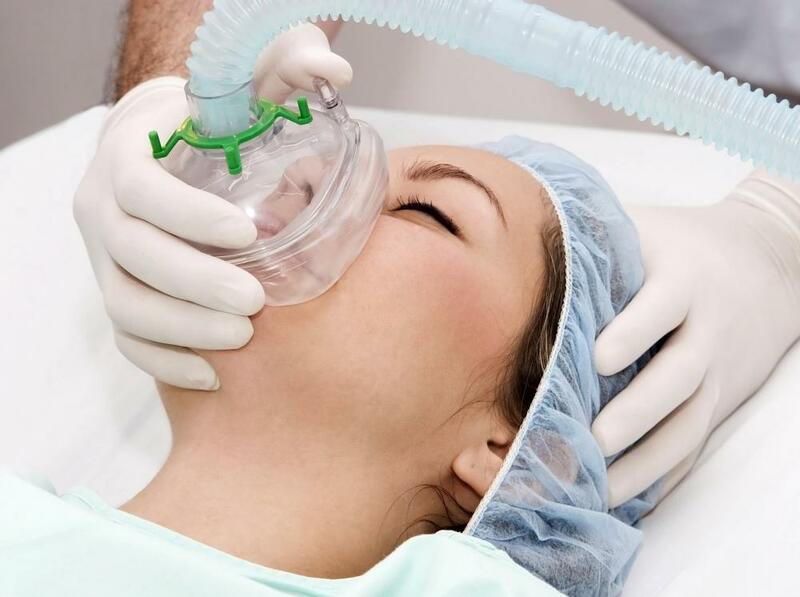 General anesthesia is a medical procedure that renders a patient unconscious through the use of drugs and gas. Frequently used to allow fast and painless surgeries or medical procedures, general anesthesia is a common tool in the medical world. Unlike local anesthesia, which numbs or dulls pain in a specific area, general anesthesia affects the whole body. Most people under this type of anesthesia experience no surgical pain and have no memory of the medical procedure. For nearly the whole length of human history, surgery was performed with no anesthesia, resulting in incredible pain and often serious psychological consequences for patients undergoing any type of medical procedure. Although certain herbs and inhalants had been used to dull pain, the idea of a general anesthetic did not take hold until the study of chemistry and scientific research became prevalent. In the mid-19th century, several doctors began using ether gas and nitrous oxide as a means of stopping pain and quieting patients during surgery. 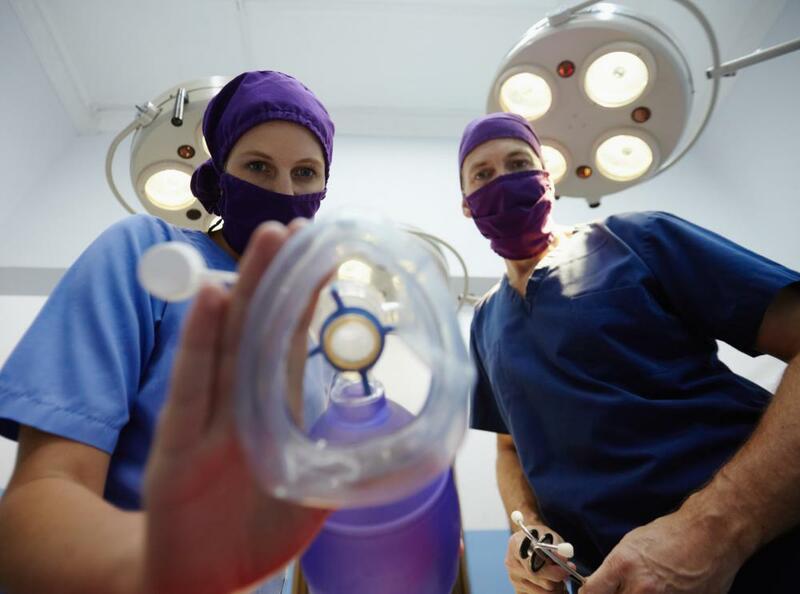 Though surgeons originally applied these early anesthetics themselves, modern medical practice often uses a licensed anesthesiologist or nurse trained in the application and monitoring of anesthesia. General anesthesia is often recommended for lengthy surgeries or those that require a patient to be held in a specific position. During the surgery, the patient is carefully monitored by an anesthesiologist who keeps track of vital signs and can administer more medicine if the anesthetic appears to be wearing off. Despite numerous safeguards, anesthesia does carry some risks that vary with the health and medical history of the patient. Although minor side effects, such as nausea, shaking, or extreme drowsiness, are common with most patients, major complications can occur during or following the use of general anesthesia. Heart attack, stroke, sharply falling blood pressure, and even death can all occur while a patient is under the influence of an anesthetic. Age, general health, and certain medical conditions considerably raise the risk of complications caused by anesthesia. Most doctors will require a full medical history and physical exam before allowing a patient to undergo the treatment. Anesthesiologists use a variety of methods to create the level of unconsciousness required for painless surgery. Some methods use a cocktail of both medication and gas to ensure that the patient is fully affected. Dental surgeons that perform sleep dentistry often require patients to take a muscle relaxant pill prior to coming into the office, then apply gas or additional oral medication to complete the anesthetic effect. There are often several behavioral requirements needed before general anesthesia can be applied. Since the process can relax the stomach and allow digesting food to filter into the lungs, doctors usually insist that the patient not eat for several hours before the procedure. In outpatient procedures, doctors also insist that the patient has a friend or relative to drive him or her to and from the appointment, as well as monitor the patient after the surgery is over. It is important to follow instructions regarding both pre-operation and post-operation behavior, in order to minimize the risk of complications. What Is the Difference between Anesthesia and Analgesia? What Are the Common after Effects of Anesthesia?